Feel the stress leave your body as you take in the Continental Divide views, watch the buffalo herd grazing and pull into Genesee Crossing, your new home. 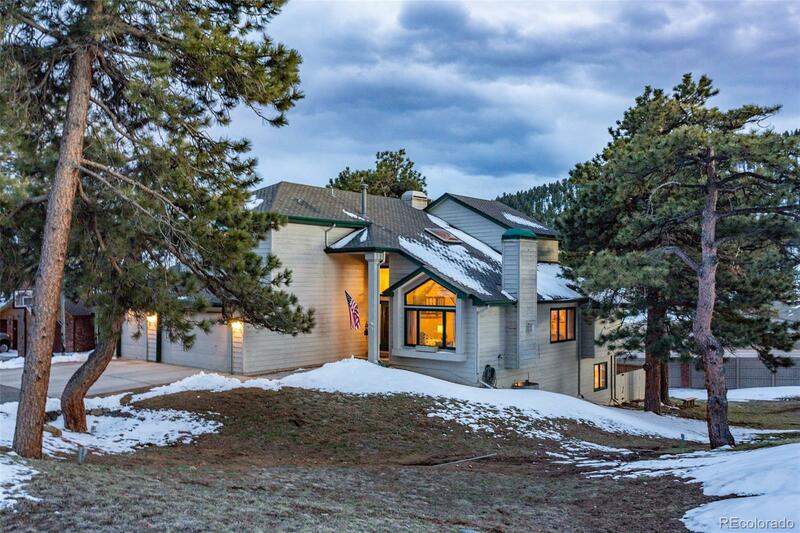 Convenient access to I70 provides easy access to Denver and also to the ski areas. This spacious home invites you to walk in to light filled living with vaulted ceilings and an open floor plan. Enjoy two fireplaces on the main level ~ nicely accentuated with a gorgeous custom sliding barn wood door. The kitchen features gas cooking and stainless appliances. Three bedrooms upstairs along with laundry room. Five piece master bath with granite and radiant floor heat. You and your guests will be saying âCheers!â as you finish your day off with a cold beer at your custom and fully equipped (draft beer on tap!) bar. The large spacious walk out basement lends itself to countless good times and memories. All the space you need. Wildlife, hiking and biking trails out your front door. Come enjoy mountain living close to the city. The content relating to real estate for sale in this Web site comes in part from the Internet Data eXchange ("IDX") program of METROLIST, INC.DBA RECOLORADO® Real estate listings held by brokers other than Shephard Realty, Inc. are marked with the IDX Logo. This information is being provided for the consumers' personal, non-commercial use and may not be used for any other purpose. All information subject to change and should be independently verified.